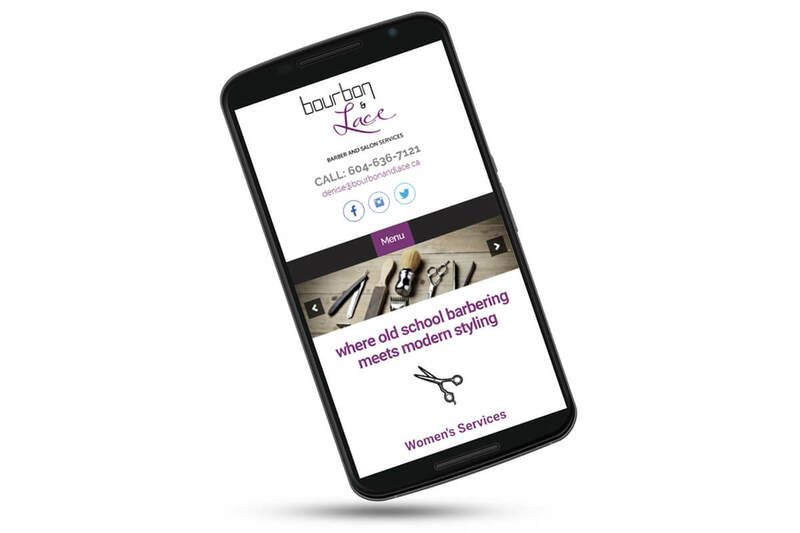 Bourbon&Lace | NetClimber Web Design Inc. 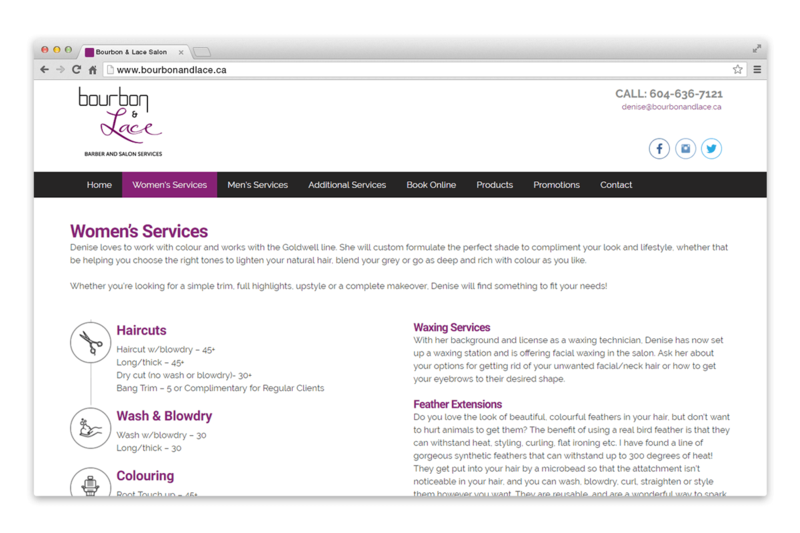 Using a custom WordPress theme developed by NetClimber Web Design, we gave Bourbon&Lace Barber and Salon Services a refreshed design using a clean, updated styling. 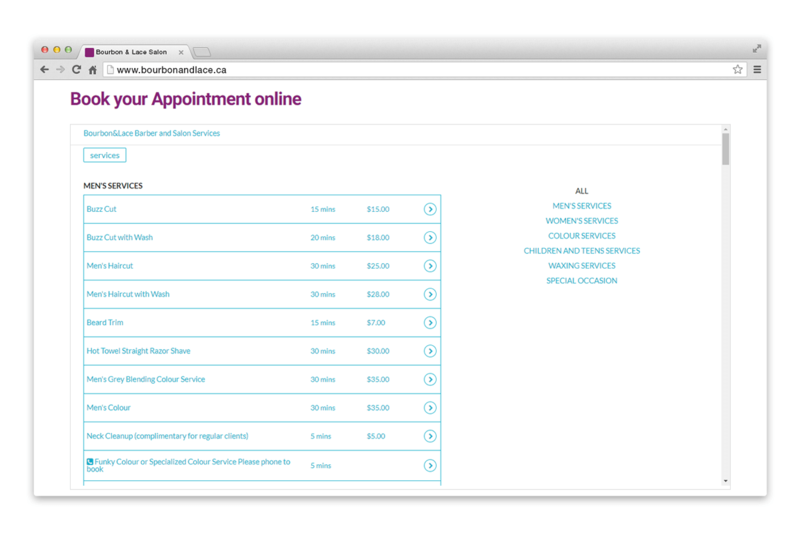 We adding some visually eye catching design using very subtle animation. 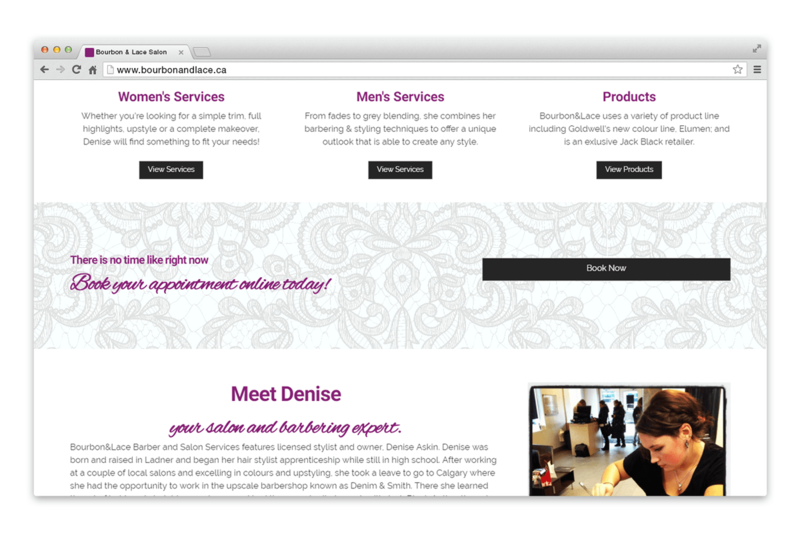 Denise (the business owner) utilized our content entry services to transfer in her content from her old site, which allowed her to focus on running her business while we ensured the overall design of the website met all her requirements and provided an ideal user experience for her clients. 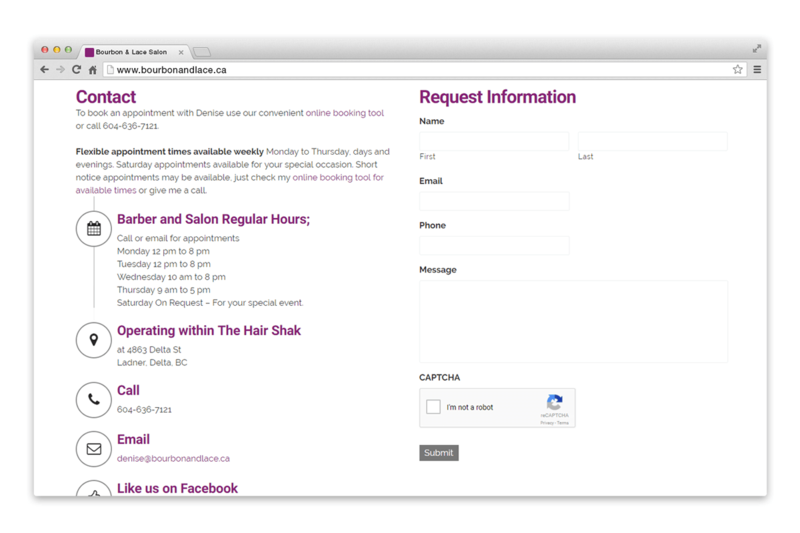 The site continues to utilize her online appointment booking service from Schedulicity to allow her greater productivity running her hair salon.